We received many requests for this item and here it is! This body was designed by Adrie herself. She made it especially for 20 to 21 inch babies, of course depending on limbs and head used. This is a full jointed body and already has cable ties. It is made of doe suede and it comes unstuffed! NEW fabric per November 19, 2010. Pictures are from new fabric! 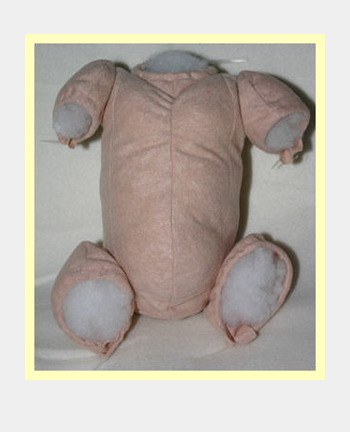 *This doll kit part is solely for artistic purposes and therefore,as the end product, not suitable for children.